5 years and its dead easy to use"
Duncan was very quick to point out that it's basic, reliable and very low maintenance. We interviewed farm owner Andrew Gordon, who informed us how much of a vital bit of hit it is for their farm, feeding out approx. 300 bales each winter and how it's very much in daily use, with the peak season where it gets most of the work from November to May. 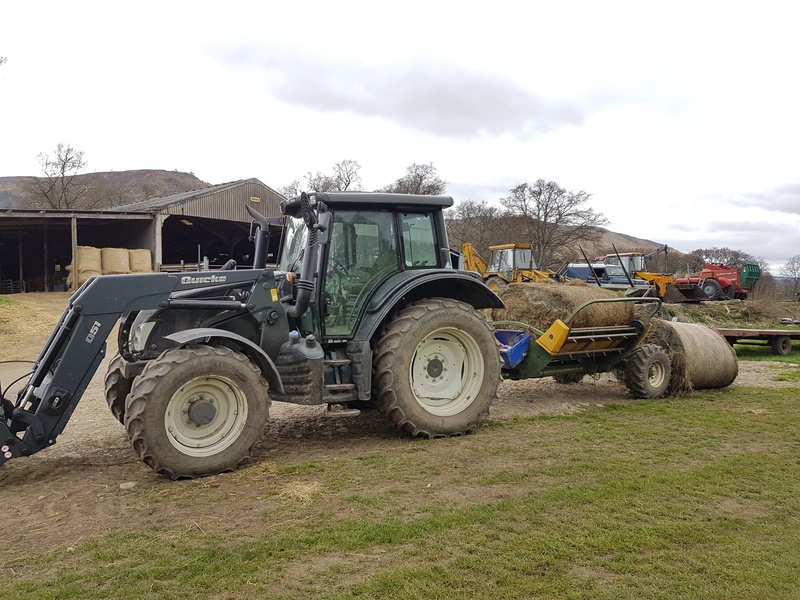 Mr. Gordon goes on to say that "it's ever broken down, side bars are very useful as you can see where it is when going through gates as well as keeping in misshapen bales in the chamber on the steep country we operate on."